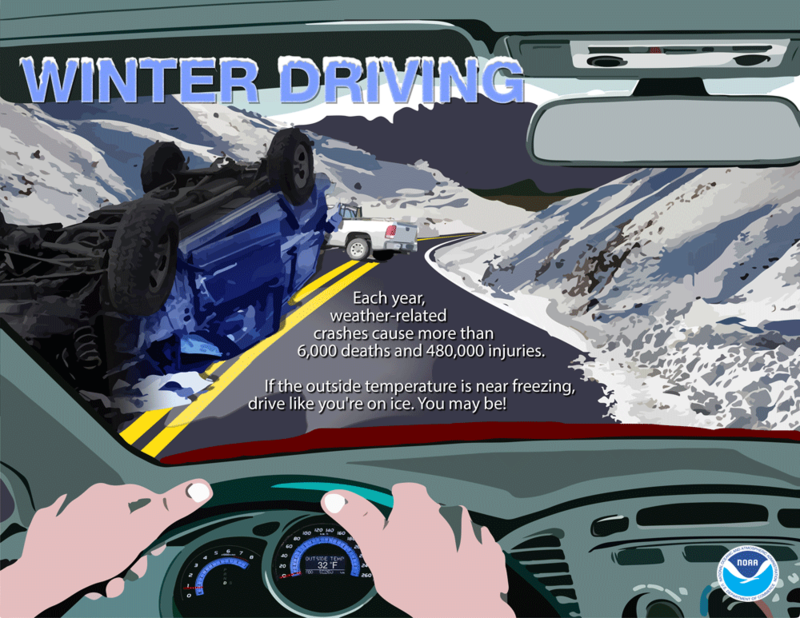 To prevent injuries, illnesses and Fatalities during winter storms. OSHA is a Weather-Ready Nation Ambassador committed to working with NOAA and other Ambassadors to strengthen national preparedness for and resilience against extreme weather. Winter weather presents hazards including slippery roads/surfaces, strong winds and environmental cold. Employers must prevent illnesses, injuries, or fatalities, by controlling these hazards in workplaces impacted by winter weather. OSHA and National Oceanic and Atmospheric Administration (NOAA) are working together on a public education effort aimed at improving the way people prepare for and respond to severe weather. This page is designed to help businesses and their workers prepare for winter weather, and to provide information about hazards that workers may face during and after winter storms. National Weather Service. The National Weather Service's Daily Briefing is a website that provides information on the weather outlook. NOAA Weather Radio. A network of radio stations that continuously broadcast weather information from the nearest National Weather Service office.